Craiglee is owned and operated by the Carmody family; Pat Carmody farms sheep and cattle as well as grapes on his property which was a successful 19th century vineyard site. He is about as far removed from the typical New World winemaker as you could imagine, and has a healthy contempt for a fair number of his competitors in the industry. Pat planted vines on the site of the original vineyard in 1976 and processed the first wine in 1979. Today he continues to make wine from estate-grown fruit, hand-picked and pruned by himself, his wife Dianne and sons David and Tom. The 2012 Shiraz offers an intense nose of red cherry, cinnamon, overlaid by hints of spice and cigar box. 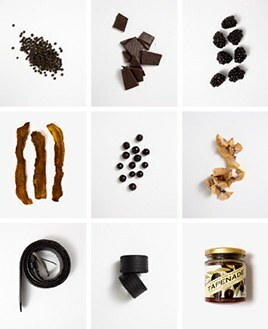 Medium-bodied with a firm structure and grainy tannins, it delivers plush fruit and a lingering, pepper-laden finish. 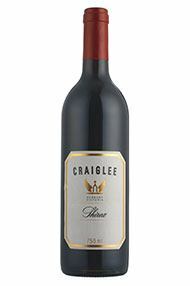 Craiglee Vineyard is located near Sunbury which is about 40km northwest of Melbourne on the edge of the urban sprawl. It is owned and operated by the Carmody family. Pat Carmody farms sheep and cattle as well as grapes on his property which was a successful 19th century vineyard site. He is about as far removed from the typical new world winemaker as you could imagine, and has a healthy contempt for a fair number of his competitors in the industry. Pat planted vines on the site of the original vineyard in 1976 and processed the first wine in 1979. The first commercial quantity was released in 1982 with the 1980 shiraz. 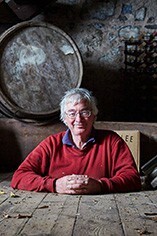 Pat continues to make wine from the fruit grown at Craiglee, and is assisted by his wife Dianne and sons David and Tom. All Craiglee wines are made from estate grown fruit, hand picked from vines that are hand pruned and carefully tended here on our family farm.Craiglee has an enviable reputation as a producer of fine table wines made to reflect local conditions and show vintage variation. Varieties produced include Shiraz, Chardonnay, Pinot Noir, Cabernet Sauvignon and Sauvignon Blanc. After South Australia and New South Wales, Victoria is the country's third most important viticultural state, responsible for 23 percent of the vines. Notable fine wine regions include the Yarra Valley (a prime spot for Pinot Noir), Sunbury (Chardonnay, Shiraz), Heathcote (Shiraz), Macedon Ranges and Rutherglen (Liqueur Muscats). Victoria has a long history of vineyard settlements, although much was destroyed by Phylloxera in the late 19th century. Apart from hot Rutherglen, the Victorian viticultural regions are generally the country's second coolest after Tasmania. Victoria is the source of excellent sparkling wines, as well as being a great area for sweet, fortified wines such as liqueur Muscat from Rutherglen in north-east Victoria.